Getting legal clearance to fly drones beyond visual line of sight can be tricky. Getting legal clearance to fly drones over people is even trickier. Only 22 companies or people in the U.S. have legal approval from the Federal Aviation Administration to fly drones over people. But American insurance giant State Farm is now one of a handful of companies (and the first insurance company) that has legal clearance to do both. State Farm is looking to use its newfound powers to use drones for conducting damage-assessment in the wake of natural disasters, such as hurricanes, tornados or wildfires. State Farm was the first (and only) insurance company to receive FAA waivers to exempt them from the rules of flying over people and flying beyond visual line of sight, to conduct insurance operations in the wake of Hurricane Florence in September 2018 and Hurricane Michael the following month. Under Part 107.31 (flying beyond visual line of sight) and Part 107.39 (flying over people), the FAA does not allow such operations without a lengthy permit process. But that’s not to say that State Farm is the first company to have both waivers (despite what headlines on some other news sites may say). A handful of companies have the same pair of waivers to fly over people while also flying beyond visual line of site, including drone delivery group Matternet, drone maker Airobotics, cinematography company Flytcam and thermal camera maker FLIR. “You have to love this game where everyone can find a way in being first in these waivers,” said Shaun Stanton, who holds the waiver on behalf of aerial cinematography company Flytcam (ironically, Stanton can claim the title of first small business to receive such a waiver for both 107.31 and 107.39. FLIR was the first overall entity to receive a waiver for both 107.31 and 107.39). But when the FAA doles out waivers, it also doles out provisions, which vary by applicant. Stanton’s waiver allows him to fly over people without a tether, while some waivers issued to other companies require drones to be tethered if they operate over people. His favor is also restricted to flying over people who have given consent. That said, the State Farm pair of waivers do have an interesting provision that some of the 22 companies with waivers for flying over people do not: flying over people not directly involved in the operation. Many of the waivers for flying over people allow drones to fly over people involved in an operation (like flying over consenting actors on a film set). This waiver allows drones to fly over nonparticipants. Another interesting note with State Farm’s pair of waivers: they are national in scope, rather than tied to a specific location, giving State Farm significantly more authority to operate over disaster areas, wherever they may strike. Drones are finding their footing in the insurance industry, as evidenced by the State Farm news. And the data backs it up: Goldman Sachs estimates that the insurance claims drone market represents a total addressable market worth $1.4 billion. Other insurance providers have been adopting drones, including USAA and AIG. The DJI Matrice 210 is one of the most popular drones for insurance use. And even dronemakers are capitalizing on the insurance industry. Chinese dronemaker DJI has been promoting IR on the DJI Matrice 200 as an efficient means of evaluating roofing conditons. 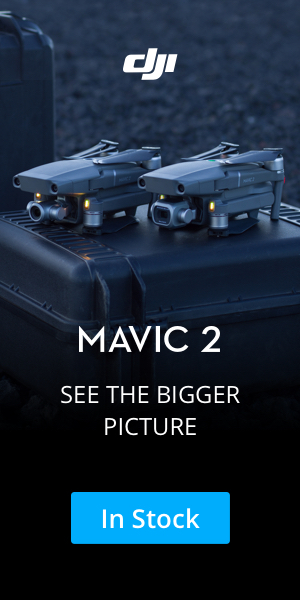 And with the Matrice 210 model, adjusters can capture both visual and multispectral imagery at once allowing them to collect twice as much data in the same amount (or less) of time).